I have been trying to add ARMs to my existing XaF solution without success. 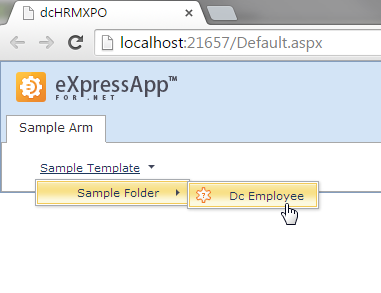 I followed the online documentation and checked the provided Northwind example but could not get ARM to appear. I end up loosing all the navigation items (including the original XaF ones). Can you please advice? I am including the solution for your convenience. To resolve this issue you can to read ticket Missing Link in Xafari Documentation. We have already did that. I downloaded and checked your solution. Everything is OK with it - references and required modules were added correctly. But there is one more step you have to do. 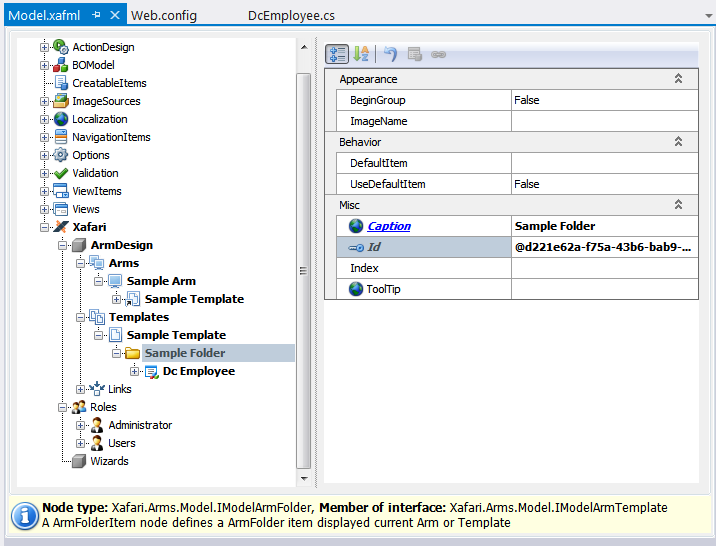 You have to open the application model in the project dcHRMXPO.Web and create Arm and all items in the ArmDesign node. See at the screenshots below.